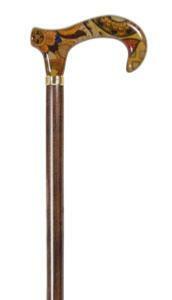 A very smart stick for the stylish walking stick user. The acrylic handle contains an elegant brown, gold and dark red paisley fabric panel, which co-ordinates well with the high quality, tapered beech shaft. 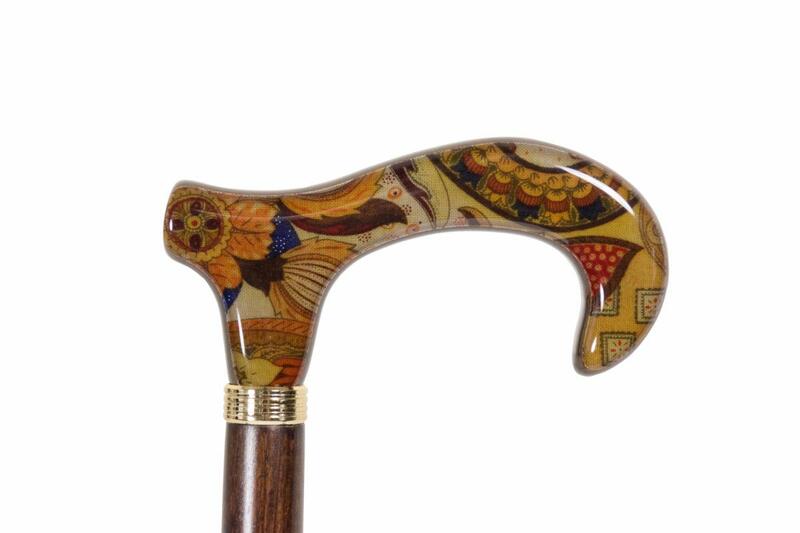 Fitted with a smart brass collar and a neat non-slip rubber ferrule, the overall height of this elegant cane is 92cm (36"). Ferrule diameter 16mm.